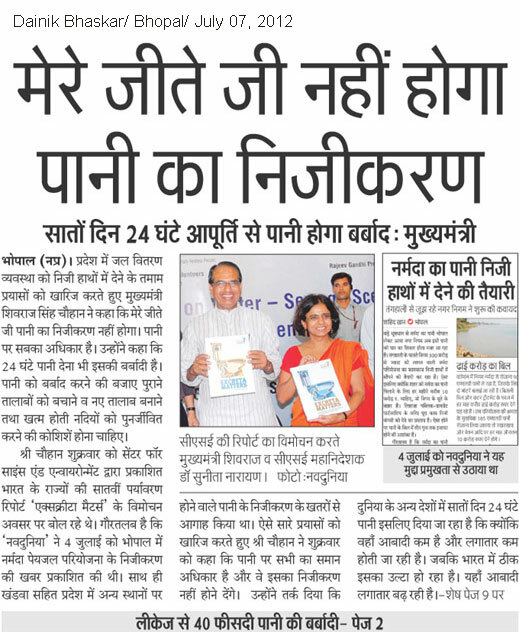 CSE invites you to the official release of the report in Bhopal. 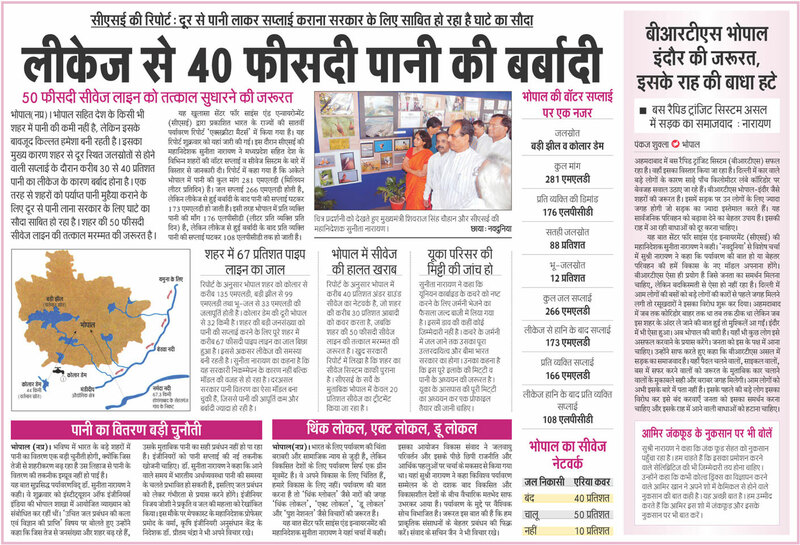 Shivraj Singh Chauhan, chief minister, Madhya Pradesh will do the honours. 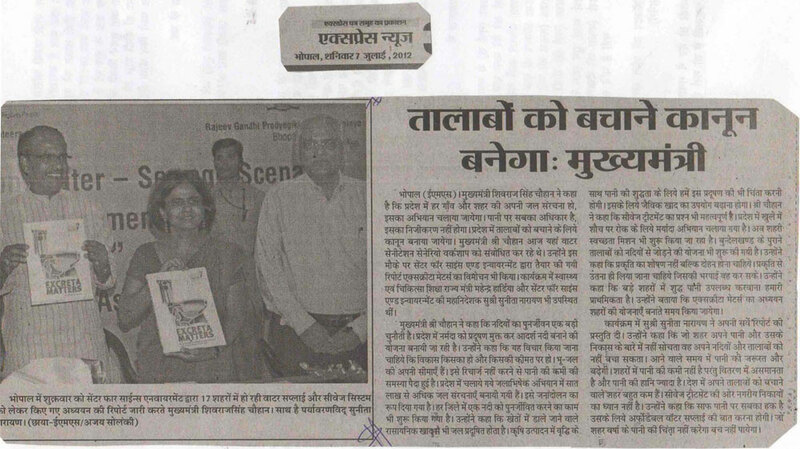 Sunita Narain, director general of CSE, will make a presentation. 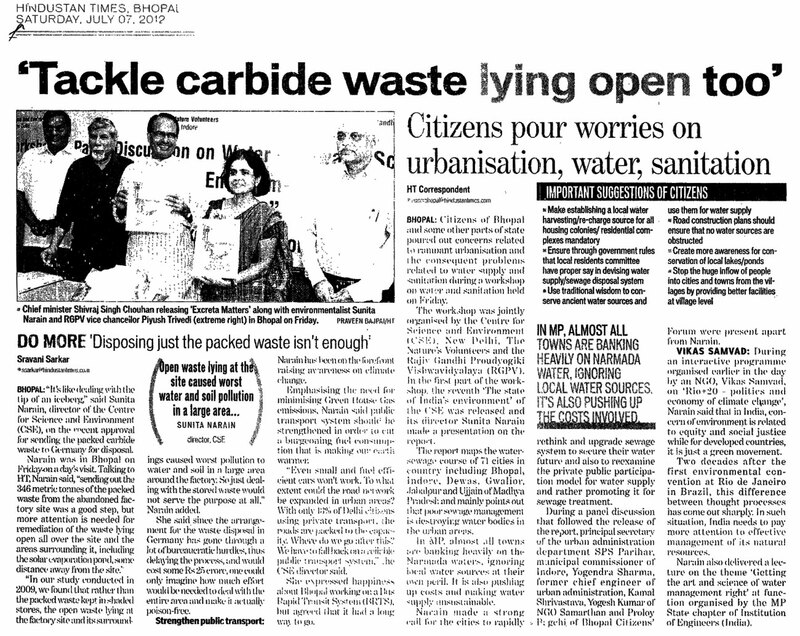 The release would be followed by a panel discussion involving some of the key policy makers and civil society representatives from the city (see details below). 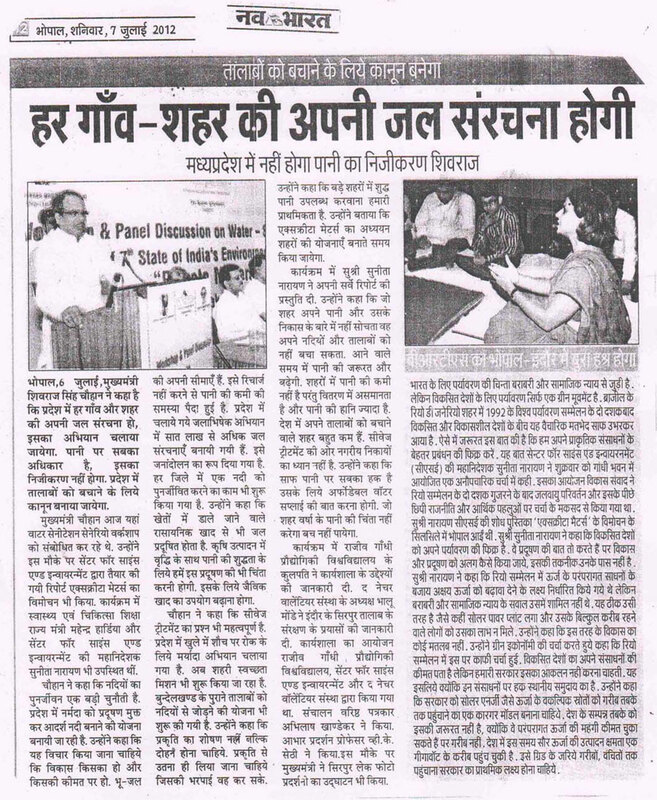 The event is being organised in association with The Nature Volunteers (TNV) and Rajiv Gandhi Proudyogiki Viswavidyalaya (RGPV), Bhopal. 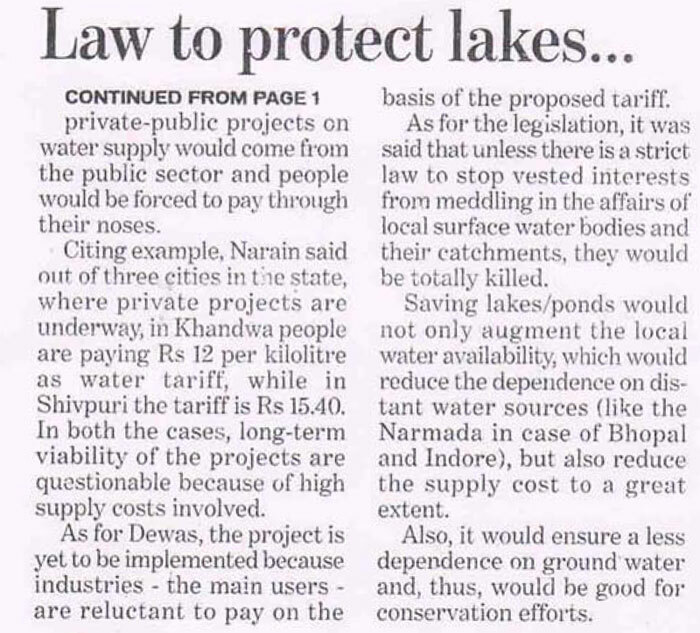 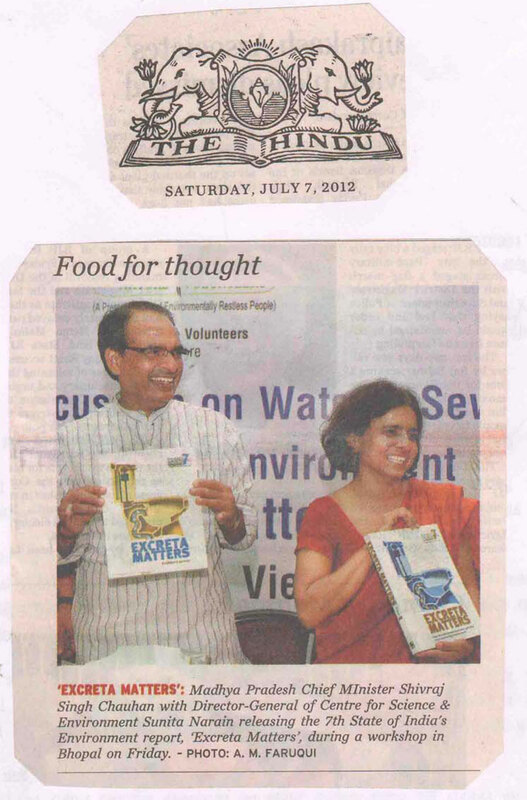 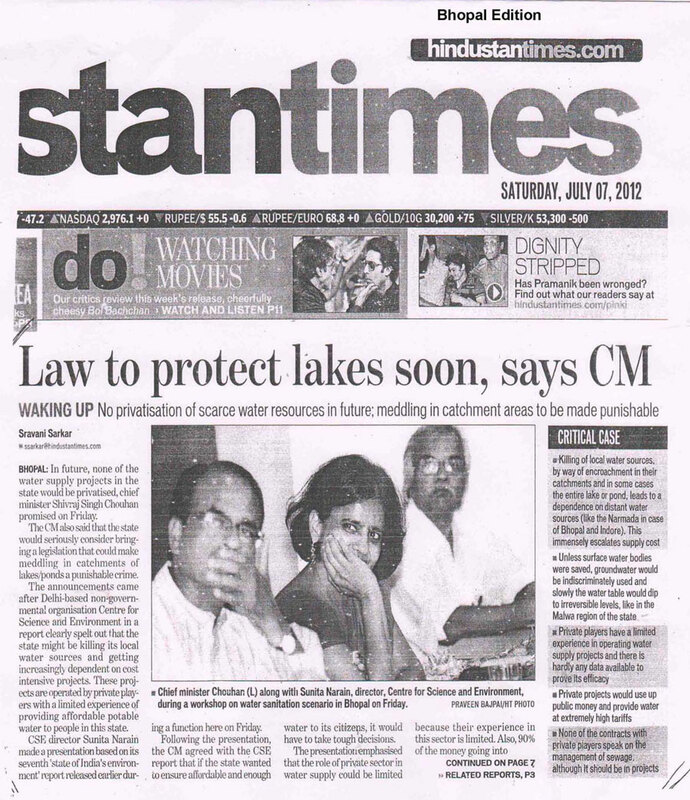 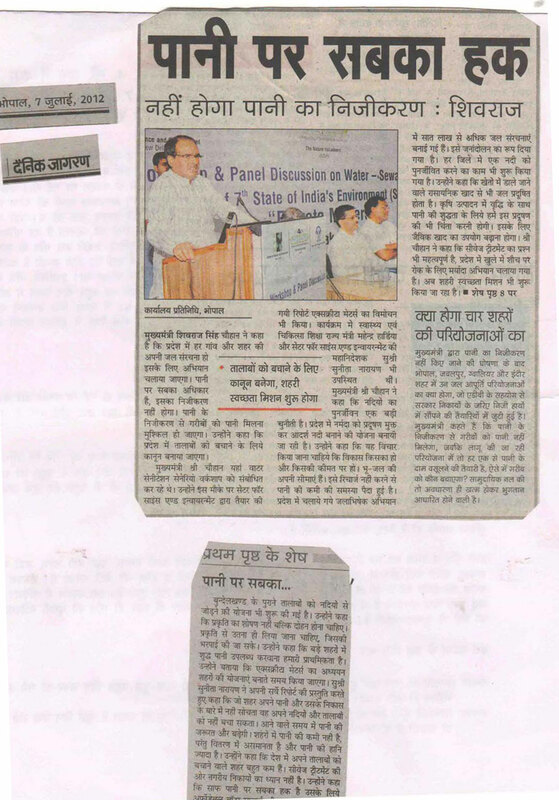 The Times of India: Bhopal, July 07, 2012.
Business Bhaskar: Bhopal, July 07, 2012. 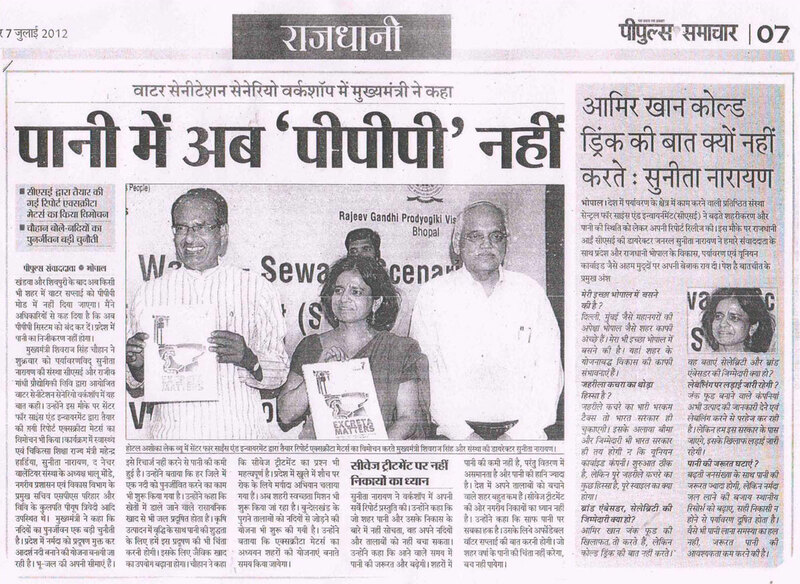 Jan Jagaran: Bhopal, July 07, 2012. 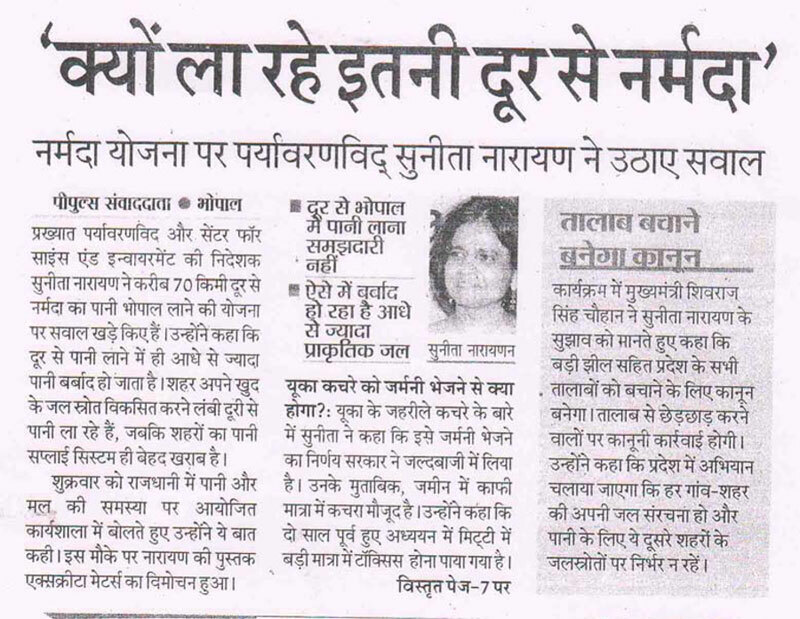 Raj Express: Bhopal, July 07, 2012. 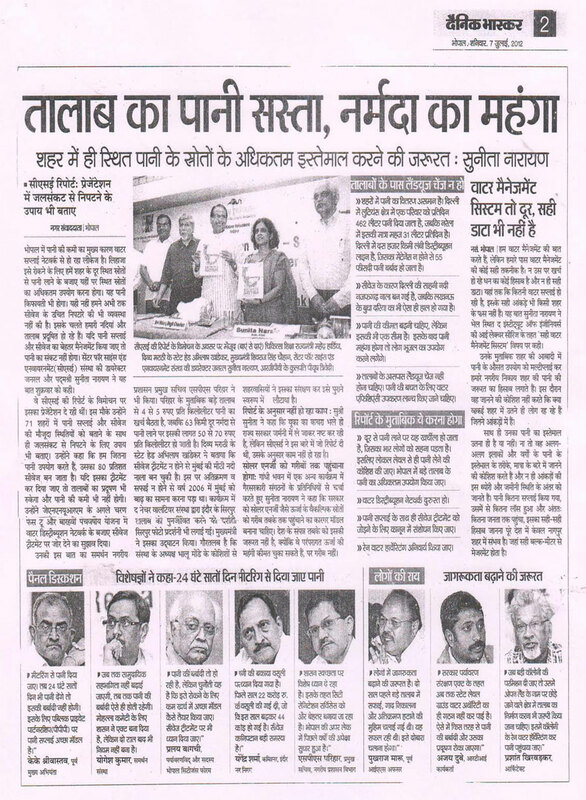 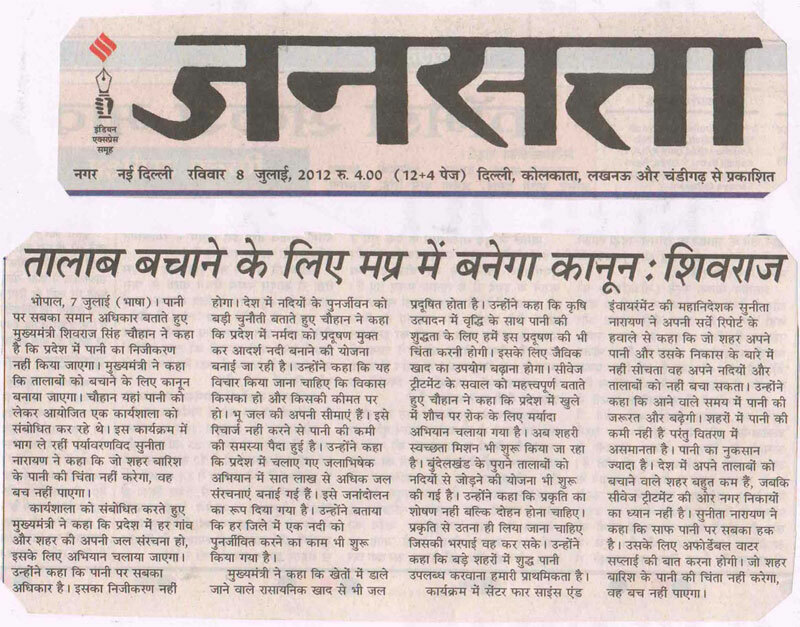 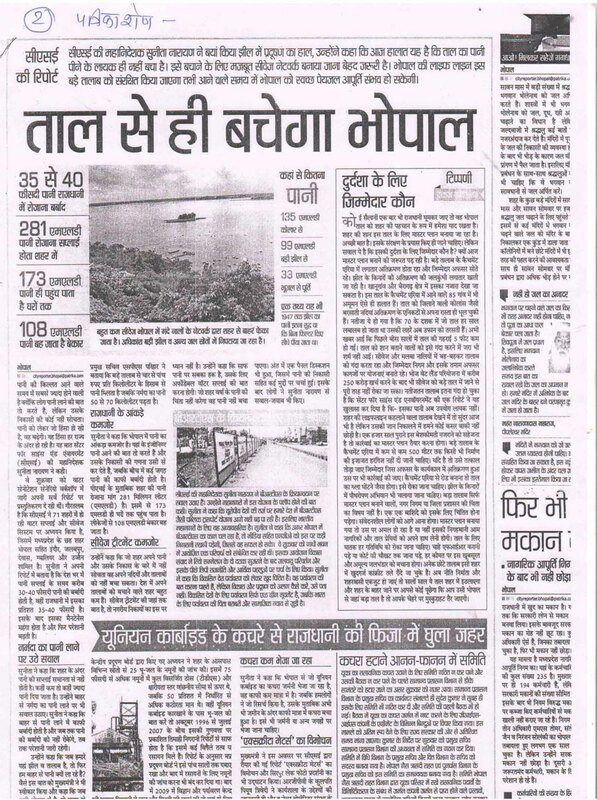 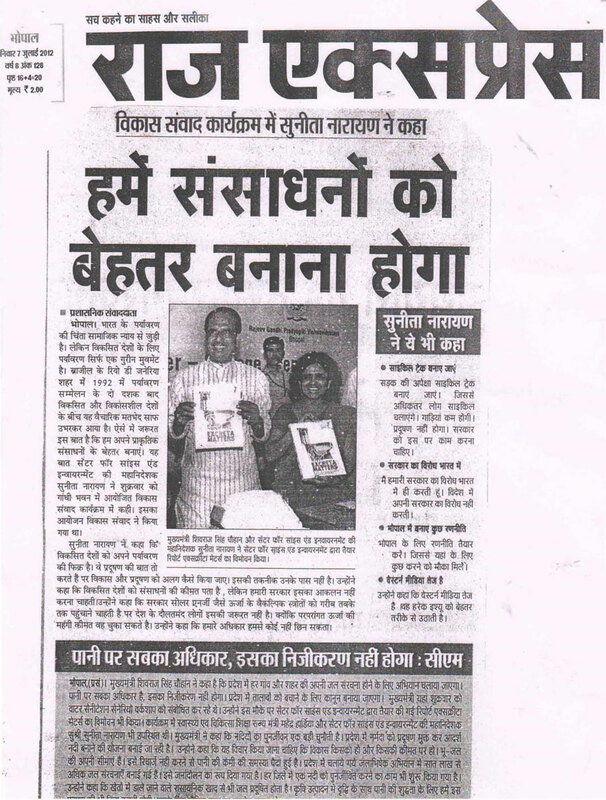 Dainik Jagran: Bhopal, July 07, 2012.